Deciding If A Home Security System Is Right For You | Calgary Alarm Inc.
Last year in Canada, there were over 150,000 break-ins, and in Alberta alone there were over 20,000 reported cases. Canada is still a safe place to live, and the rate of break-and-enters is falling each year, coinciding with the growth of the home security market. Home security systems are effective at deterring crime from happening inside the safety of your own place, but let’s review other facts to see if a security system is the right fit for you. Security systems go beyond monitoring your home for unusual activity — with the growing presence of automation, it’s now easy to control various digital and electronic appliances even when you’re far from home. You can control the thermostat level in order to reduce the wasted energy used to heat or cool your home, and when you’re ready to head back, you can time it so that the temperature is just right the second you enter the front door. You can also time the lights so you don’t have to walk into a dark house. Home insurance is necessary for some homeowners, as lenders of mortgages will insist on the purchase of insurance before even considering the loan. The trend in home insurance rates means increases in premiums for homeowners, which is caused by an increase in extreme weather. While there’s nothing individuals can do to change the weather, one way to reduce the cost of insurance is to install an alarm system. The more homes in the neighbourhood with security systems, the more drastically break-in rates fall. Having a safe home is a good start, but why not live in a neighbourhood where it’s about as safe as can be expected, and you can walk home from the bus stop feeling confident that you’ll arrive safely? 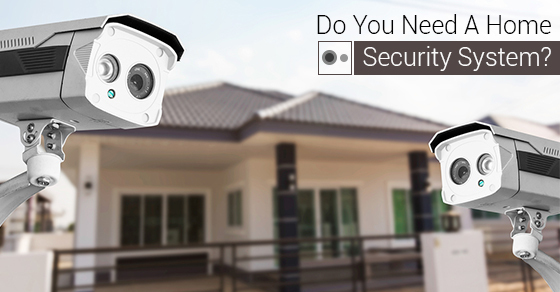 Your home security system can alert you immediately when things go wrong so you can react and respond accordingly. Some systems will even alert you of gas or electricity problems, so you can schedule a fix immediately. Installing a home security system is for proactive homeowners who plan for a better future and want to invest in their home and neighbourhood. With housing prices increasing across Canada, help yourself stay competitive by taking steps to ensure a better value for your home and for yourself.